The New York Times has created several data visualizations comparing the results of the 2018 and 2016 U.S. House of Representative elections, illustrating how the supposed “blue wave,” in which many expected Democrats to win a large majority, played out. 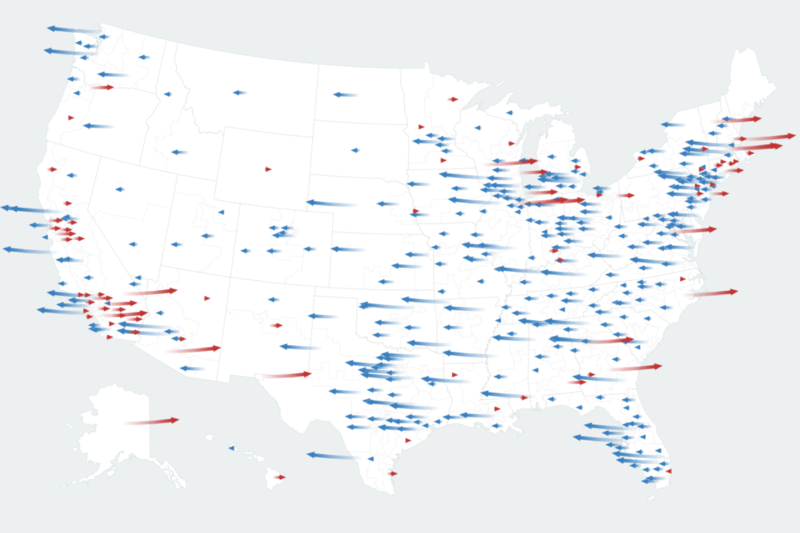 The visualizations show which districts flipped from Republicans to Democrats and vice-versa, as well as how much more “blue” or “red” the districts voted in 2018 compared to 2016. The visualizations show that while Democrats did win a majority of House of Representatives seats, only 30 Congressional districts actually flipped from Republican to Democrat.